^ "SmartCode Manual (revised)". 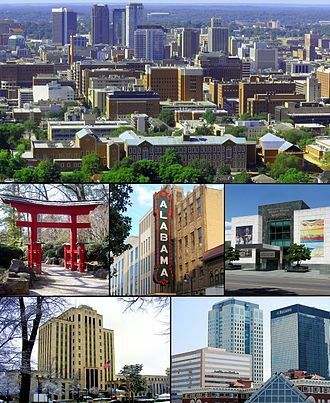 City of Montgomery. Planning. Retrieved 23 May 2018. ^ "NowData – NOAA Online Weather Data". National Oceanic and Atmospheric Administration. Retrieved 2018-10-16. Huntingdon College is a coeducational liberal arts college affiliated with the United Methodist Church in Montgomery, United States. 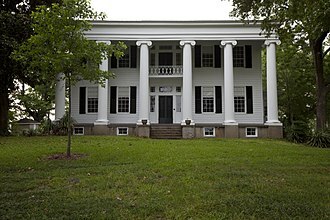 Huntingdon College was chartered on February 2,1854, as Tuskegee Female College by the Alabama State Legislature, the first president was Andrew Adgate Lipscomb. Dr. Lipscomb laid the foundation of the college as a college rather than a research institution. In 1872 the name was changed to Alabama Conference Female College as the college came under the auspices of the United Methodist Church, a 58-acre parcel of land on what was the outskirts of town and is now the beautiful Old Cloverdale neighborhood of Montgomery was selected in 1908. 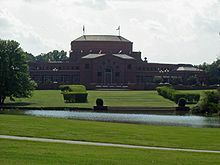 The design for the landscape of the campus was provided by Frederick Law Olmsted, as the students and President William Martin moved to Sullins College in Virginia for that school year, construction continued on the colleges first building, John Jefferson Flowers Memorial Hall. Completed in 1910 and designed by Harvard architect H, the college admitted its first male students in the aftermath of World War I, graduating the first male student in 1934. Huntingdon today offers more than 20 undergraduate programs of study and 15 NCAA-III intercollegiate athletic teams participate in the USA South Athletic Conference. Huntingdons campus is listed on the National Register of Historic Places as the Huntingdon College Campus Historic District, the district contains thirteen contributing buildings, built in the Gothic Revival and Tudor Revival styles, and one site. The district was placed on the NRHP on February 24,2000, Huntingdon College teams participate as a member of the National Collegiate Athletic Associations Division III. 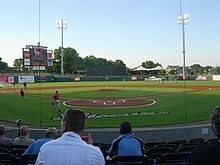 The Hawks are a member of the USA South Athletic Conference, mens sports include baseball, football, lacrosse, soccer and wrestling, while womens sports include basketball, lacrosse, softball and volleyball. Huntingdon is the only college in the state of Alabama to offer collegiate wrestling. Beginning in the fall of 2017, the Hawks will resurrect their cross country program with the help of new head coach Daniel August, August is a graduate of Carthage College and Wisconsin Lutheran College. 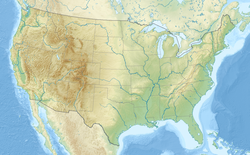 The Gulf Coastal Plain extends around the Gulf of Mexico in the Southern United States and eastern Mexico. It continues along the Gulf in northeastern northeastern and eastern Mexico, through Tamaulipas and Veracruz to Tabasco, the Gulf Coastal Plains southern boundary is the Gulf of Mexico in the U. S. and the Sierra Madre de Chiapas in Mexico. 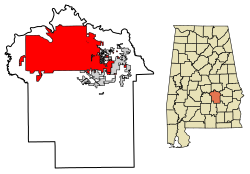 On the north, it extends to the Ouachita Highlands of the Interior Low Plateaus and its northernmost extent is along the Mississippi embayment as far north as the southern tip of Illinois. The flat to rolling topography is broken by many streams, river riparian areas, the Gulf Coastal Plain extends into southern Mexico. The northern region uplands are dominated by pine, originally longleaf and slash in the south and these are wildfire-maintained systems that give way to loblolly pine and hardwoods in damper areas and bottomland hardwood forest in extensive lowland drainages. The southern region has tropical and subtropical moist broadleaf forests and western Gulf coastal grasslands and they include large habitats of freshwater wetlands, salt marshes, and coastal mangrove swamps. Faulkner University is a private Christian university, located in Montgomery, Alabama, US, and affiliated with the Churches of Christ. The University was founded in 1942 as Montgomery Bible School, in 1953 the schools name was changed to Alabama Christian College. 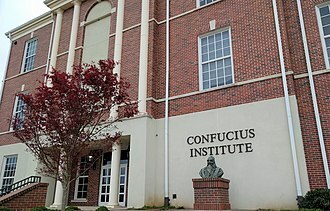 In 1965, the college was moved to its present location on Atlanta Highway, the year 1975 marked the beginning of the schools satellite campuses in Mobile and Birmingham. In 1985, the school was renamed Faulkner University in honor of Dr. James H. Faulkner, Sr. a longtime supporter, sports for men include baseball, football and soccer. Sports for women include basketball, soccer and volleyball, most sports participate within the Southern States Athletic Conference, while football participates in the Mid-South Conferences sun division, starting with the 2016 season. Faulkner formerly competed in the NCCAA, winning the championship in baseball in 2001. 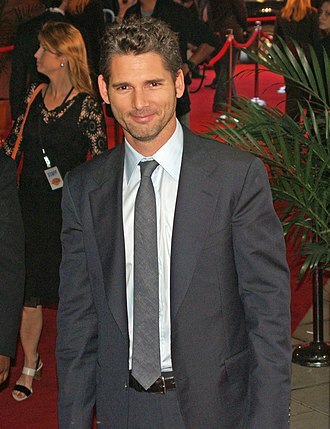 Michael A. ODonnell Faulkner operates the Thomas Goode Jones School of Law, the school of law was provisionally accredited by the American Bar Association in 2006, and fully accredited in 2009. Richard Montgomery was an Irish-born soldier who first served in the British Army. He became a general in the Continental Army during the American Revolutionary War. Montgomery was born and raised in Ireland, in 1754, he enrolled at Trinity College and two years joined the British Army to fight in the French and Indian War. 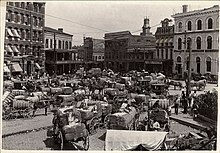 He steadily rose through the ranks, serving in North America, after the war he was stationed at Fort Detroit during Pontiacs War, following which he returned to Britain for health reasons. 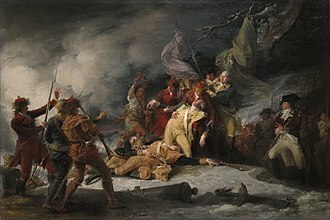 In 1773, Montgomery returned to the Thirteen Colonies, married Janet Livingston, when the American Revolutionary War broke out, Montgomery took up the Patriot cause, and was elected to the New York Provincial Congress in May 1775. In June 1775, he was commissioned as a general in the Continental Army. After Phillip Schuyler became too ill to lead the invasion of Canada and he captured Fort St. Johns and Montreal in November 1775, and advanced to Quebec City, where he joined another force under the command of Benedict Arnold. On December 31, he led an attack on the city, the British found his body and gave it an honorable burial. 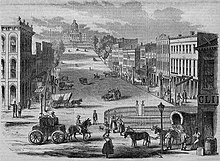 It was moved to New York City in 1818, Montgomery was born near Swords in the north of County Dublin in Ireland. He was born into an Ulster Scots gentry family from County Donegal and he was a brother of Colonel Alexander Montgomery and a cousin of Colonel Alexander Montgomery, both Members of Parliament for County Donegal. Another first cousin was an M. P. for County Monaghan, the Montgomerys were the East Donegal branch of the Clan Montgomery. Richard Montgomery spent most of his childhood at Abbeville House in Kinsealy, near Swords, in County Dublin, where he learned to hunt, ride and fence. Thomas Montgomery made sure that his sons received an education, Richard attended the school of the Rev. Saumarez Dubourdieu in Leixlip, and learned French, Latin. Richard Montgomery entered Trinity College in 1754, despite his great love of knowledge, Montgomery did not receive a degree. 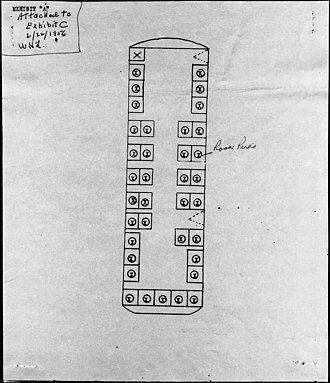 He was urged by his father and his oldest brother Alexander to join the military and his father purchased an ensigns commission for Montgomery, who joined the 17th Regiment of Foot. Alabama State University, founded 1867, is a historically black university located in Montgomery, Alabama. 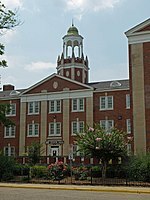 ASU is a member-school of the Thurgood Marshall College Fund, Alabama State University founded in 1867 as the Lincoln Normal School of Marion in Marion. In December 1873, the State Board accepted the transfer of title to the school after an act was passed authorizing the state to fund a Normal School. Thus, in 1874, this predecessor of Alabama State University became Americas first state-supported educational institution for blacks and this began ASU’s history as a “Teacher’s College. ”In 1878, the second president, William Paterson, was appointed. 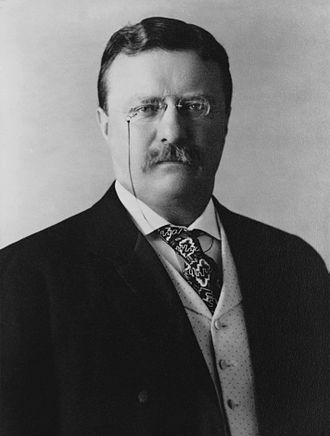 He is honored as a founder of Alabama State University and was the president for 37 of the first 48 years of its existence, Paterson was instrumental in the move from Marion to Montgomery in 1887. 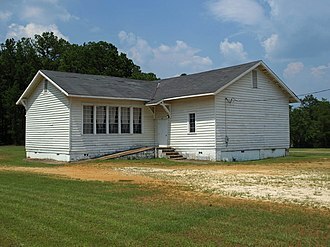 In the decades that followed Lincoln Normal School became a junior college, in 1929 it became State Teachers College, Alabama State College for Negroes in 1948 and Alabama State College in 1954. In 1969, the State Board of Education, the body of the university, approved a name change. Today, WVAS has grown to 80,000 watts and enjoys a listenership that spans 18 counties, in recent years, the station has begun streaming its broadcast via the Web, connecting a global audience to the university. WAPR-FM88. 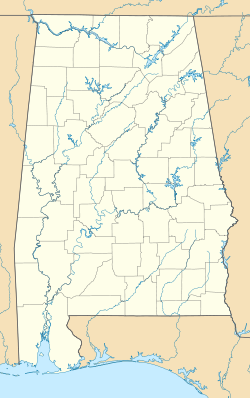 3—Selma – The signal reaches the region known colloquially as the Black Belt, about 13 counties in the west central and central parts of Alabama, the university experienced some tension with the state government in 2013 and 2014. In December 2012, university president Joseph Silver resigned after six months in the job. The audit was ordered to investigate Silvers claims that he was forced to resign because he questioned suspicious contracts at the university. During the November 4th hearing Alabama State University Board of Trustees voted 8–6 to place University President Dr. Gwendolyn Boyd on paid leave for failure to maintain confidence of the board. A public hearing was held on November 14 and December 16,2016 where Boyd responded to the charges, after deliberating for six hours, the Alabama State University Board of trustees voted 8–6 to terminate Boyds employment contract. 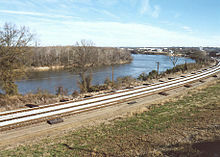 The Selma to Montgomery marches were three protest marches, held in 1965, along the 54-mile highway from Selma, Alabama to the state capital of Montgomery. By highlighting racial injustice, they contributed to passage that year of the Voting Rights Act, the African-American group known as the Dallas County Voters League launched a voters registration campaign in Selma in 1963. Joined by organizers from the Student Nonviolent Coordinating Committee, they began working that year in an effort to register black voters. SCLC brought many prominent civil rights and civic leaders to Selma in January 1965, local and regional protests began, with 3,000 people arrested by the end of February. Bevel had been working on his Alabama Project for voting rights since late 1963, the first march took place on March 7,1965, organized locally by Bevel, Amelia Boynton, and others. 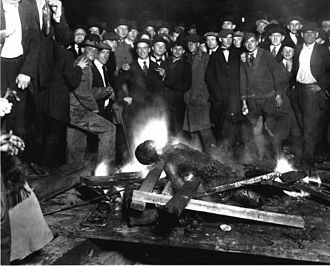 State troopers and county possemen attacked the marchers with billy clubs and tear gas after they passed over the county line. Law enforcement beat Boynton unconscious, and the media publicized worldwide a picture of her wounded on the bridge. 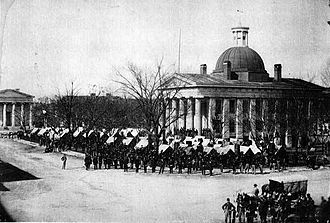 The second march took place March 10, troopers and marchers confronted each other at the county end of the bridge, but when the troopers stepped aside to let them pass, King led the marchers back to the church. 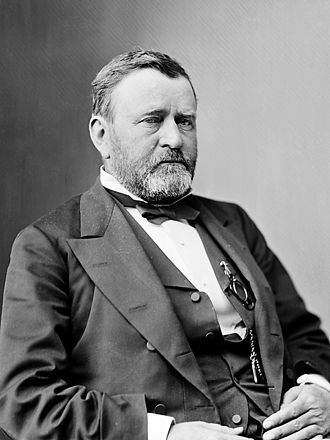 He was obeying a federal injunction while seeking protection from court for the march. That night, a white group beat and murdered civil rights activist James Reeb, a Unitarian Universalist minister from Boston, many other clergy and sympathizers from across the country gathered for the second march. The violence of the Bloody Sunday and of Reebs death led to an outcry and some acts of civil disobedience. The protesters demanded protection for the Selma marchers and a new voting rights law to enable African Americans to register. With Governor Wallace refusing to protect the marchers, President Johnson committed to do so, the third march started March 21. 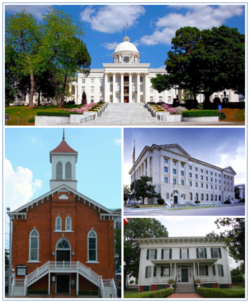 The marchers arrived in Montgomery on March 24 and at the Alabama State Capitol on March 25, with thousands having joined the campaign,25,000 people entered the capital city that day in support of voting rights. Edmund Burke was one of Montgomery's associates in Britain. The Embarkation of Montgomery's troops at Crown Point. Rosa Parks on a Montgomery bus on December 21, 1956, the day Montgomery's public transportation system was legally integrated. Behind Parks is Nicholas C. Chriss, a UPI reporter covering the event. The National City Lines bus, No. 2857, on which Rosa Parks rode before she was arrested (a GM "old-look" transit bus, serial number 1132), is now on exhibit at the Henry Ford Museum. The third Selma Civil Rights March frontline. From far left: John Lewis, an unidentified nun; Ralph Abernathy; Martin Luther King, Jr.; Ralph Bunche; Rabbi Abraham Joshua Heschel; Frederick Douglas Reese. Second row: Between Martin Luther King, Jr. and Ralph Bunche is Rabbi Maurice Davis. Heschel later wrote, "When I marched in Selma, my feet were praying." Joseph Ellwanger is standing in the second row behind the nun. The Missouri River (center) joins with the Upper Mississippi River (right), more than doubling the flow south (left). Wood River, Illinois is in the foreground. 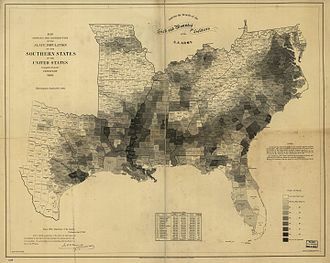 Percentage of slaves in each county of the slave states in 1860.